Howdy everyone. 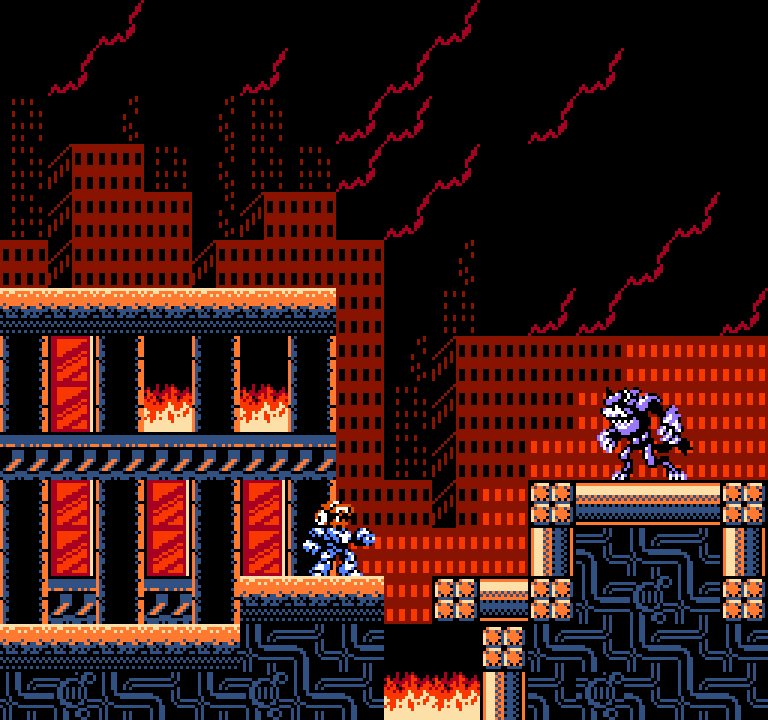 After hearing about the NESmaker kickstarter, I became very interested in creating my own NES game. I've listened to a few episodes of the Assembly Line podcast, which led me here. I draw the webcomic the Savage Beard of She Dwarf ( http://www.shedwarf.com ) which uses a limited color pallet as well, so messing around with the NES pallets and sprite economy is very appealing to me. 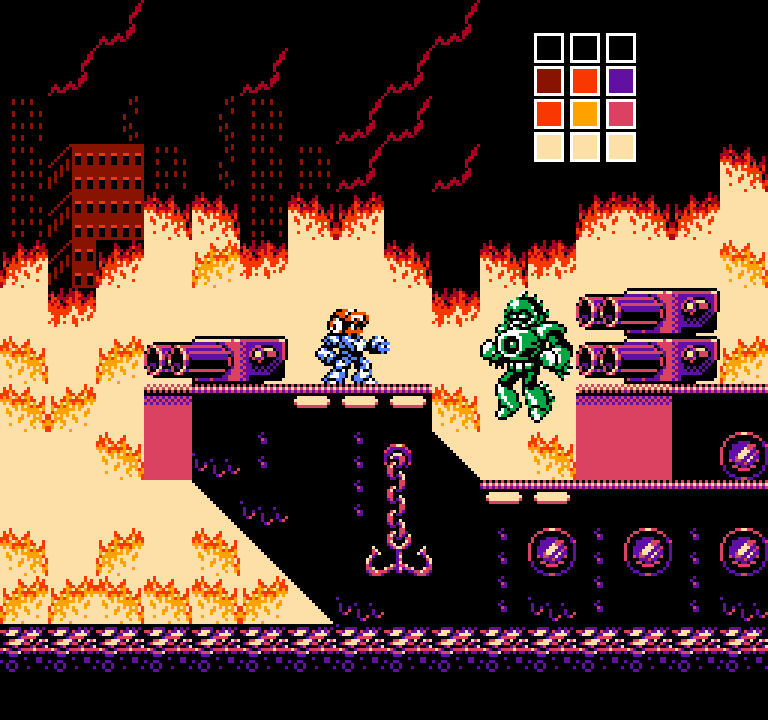 My buds want to do a Unity game with NES inspired graphics, but that's just not as compelling to me as an artist. Many of these designs are explorations of different project we've been talking about, but we are having a tough time narrowing in on what we actually want to do. I'm sharing the pre-production mockups in this thread, and I would be delighted to hear honest feedback on them. 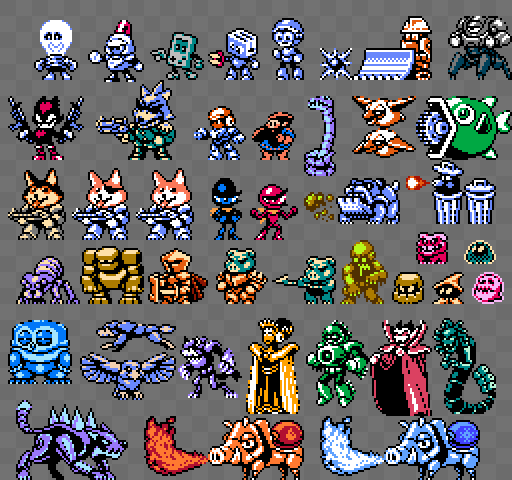 I don't have any practical experience in NES dev yet, all these are just made in Asprite or Photoshop. I'm looking forward to talking NES graphics and design with yall! Cheers! Last edited by zob64 on Thu May 17, 2018 10:11 am, edited 1 time in total. Thank you! Also, gotta say, I love Streemerz! Welcome! It's nice to finally see some un-jpg'd versions of your work! Thank you! Yeah, the facebook page is neat, but man it chews up images. haha. You're Indivisible Demo was wicked great, by the way! The animations and character adaptations were stellar, and the gameplay was butter smooth too! 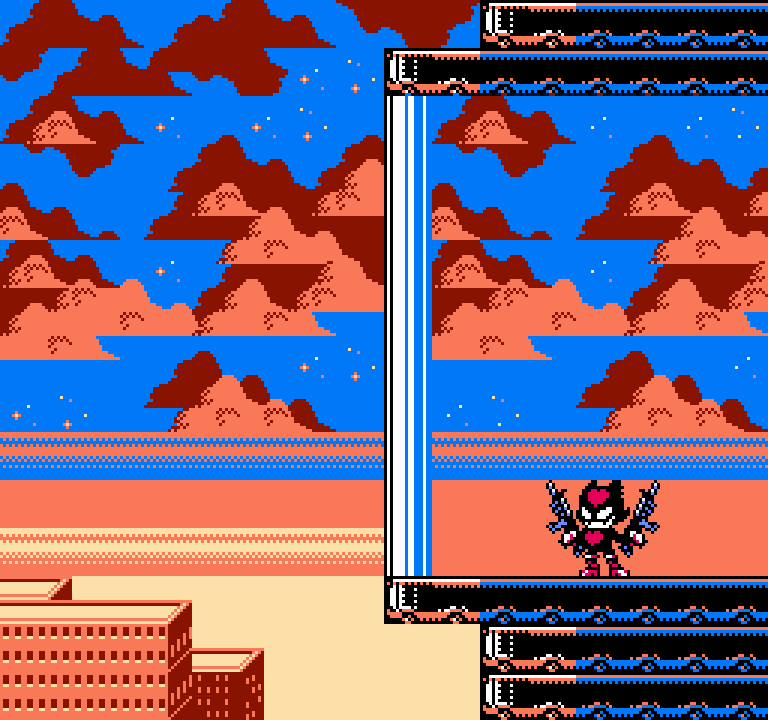 You're making some masterful sprites, my friend. Well done! Thank you! Super Pitfall 30th looks gorgeous! It's so fun to see what this community has been working on. I've only just become aware of it. Thank you for being so welcoming! Great, characterful work there! Welcome to the forums. Thank you! I'm blown away by your pixel work. Astonishing what you are able to do with dithering! 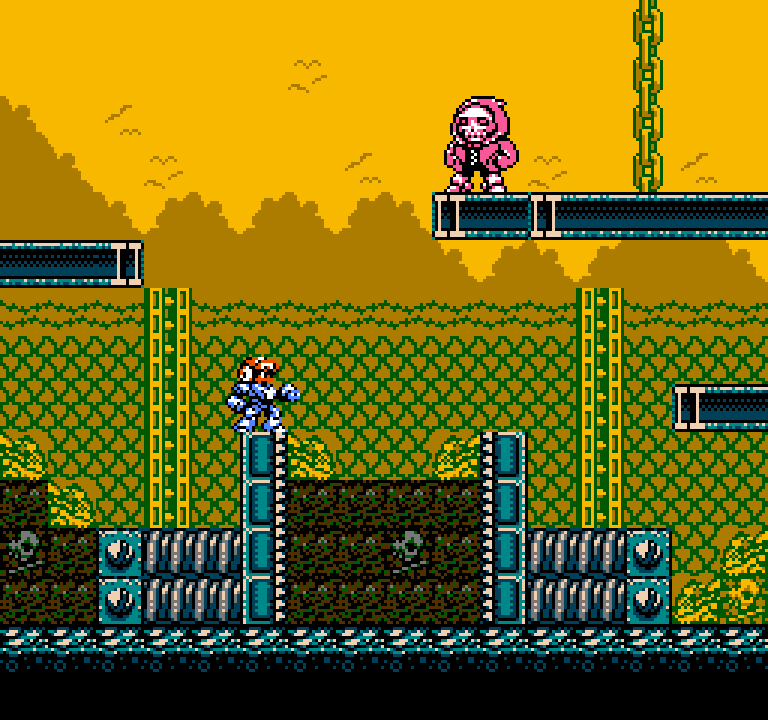 Mockup explorations of an action platformer with the awful working title of Hyper Hunter. Anyway, those screenshots look really professional, they could easily be up there with the best games the NES has offered in its time. Incredible work! This is a NES version of an indie game project I was working on a few years ago, working title Cockatrice. It's an adventure take on Joust. 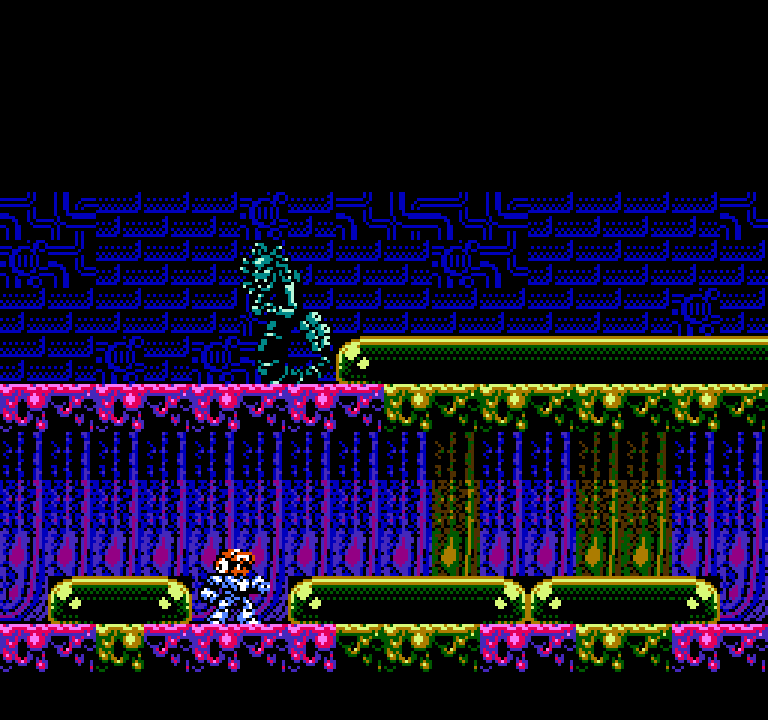 I'm a bit worried about how long the sprite is, but if I'm careful with enemy placement and designing environmental obstacles, I shouldn't have to worry about sprite flicker too much. If need be, I would adjust the tail and/or head length. It's an adventure take on Joust. This is 48 pixels wide, but staggering the head and tail should cause it to take only 40 pixels on any given line. How big do you plan the enemies to be? but if I'm careful with enemy placement and designing environmental obstacles, I shouldn't have to worry about sprite flicker too much. If need be, I would adjust the tail and/or head length. 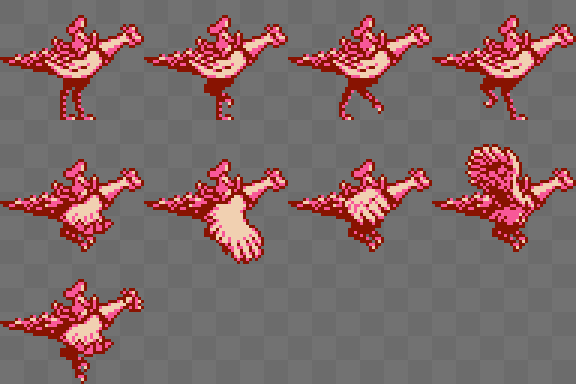 The original Joust sprites (ripped) are 16x20 or thereabouts, roughly the same as those of Balloon Fight.